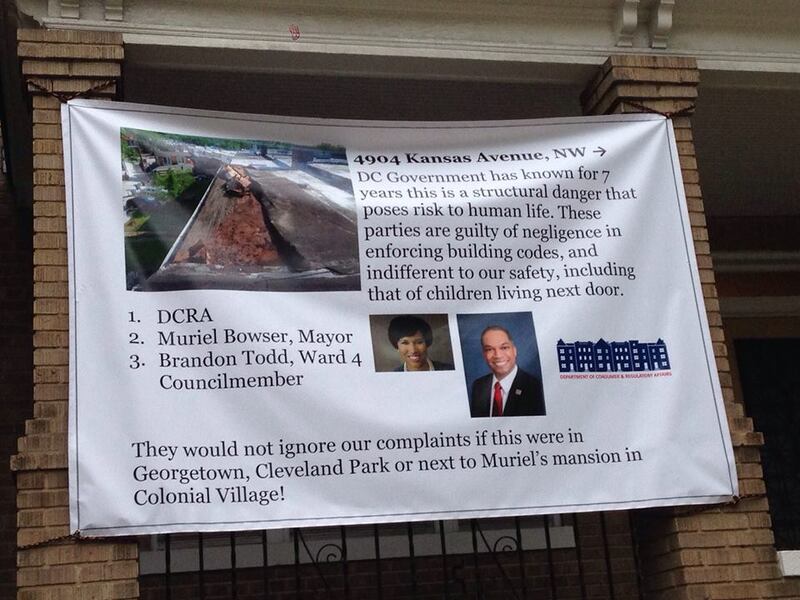 Thanks to all who emailed and tweeted about this sign. 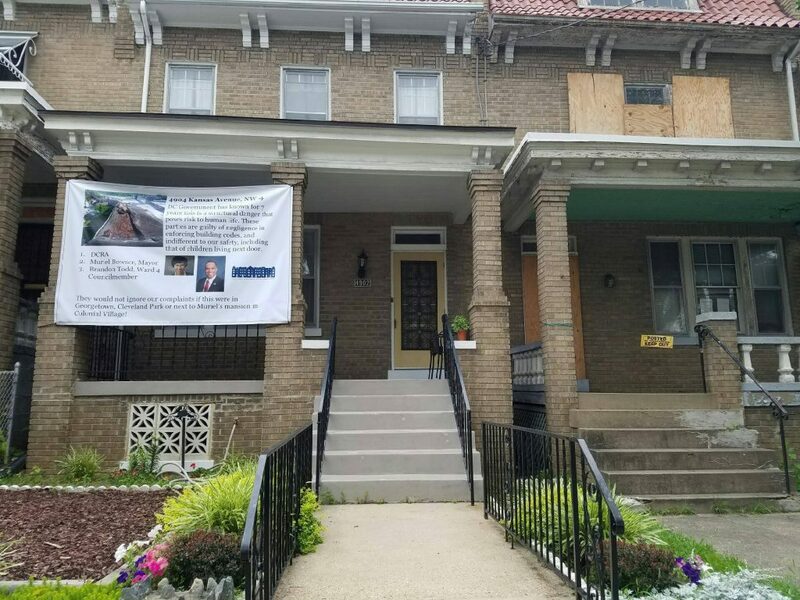 We wanted to make you aware that a banner has been placed on our home to protest the deplorable and unsafe condition of the boarded up row house next door and the city’s complete lack of response to complaints for repairs from two families with young children living next door. 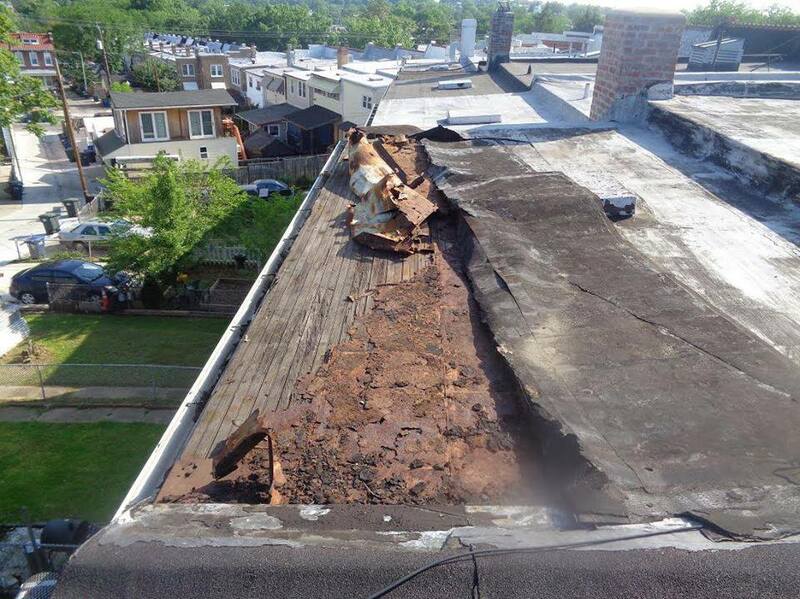 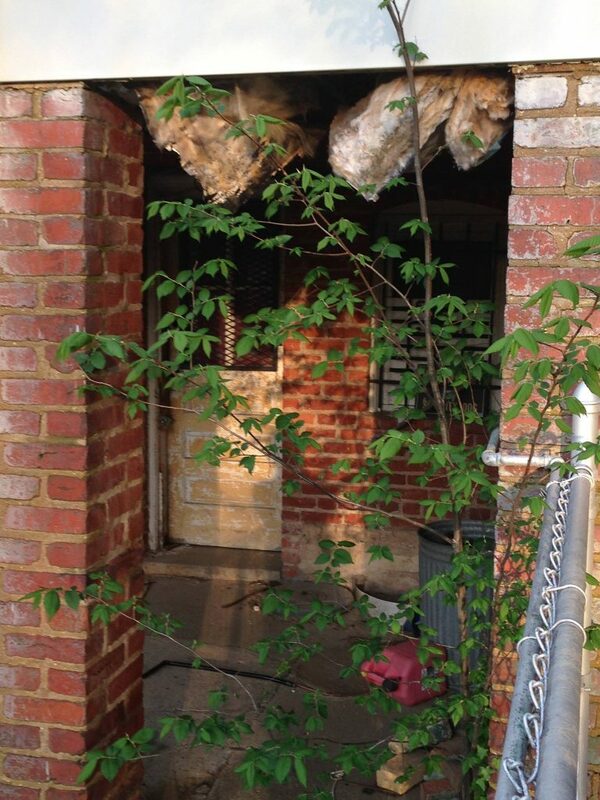 For seven years, we have contacted Muriel Bowser, DCRA and (now) Brandon Todd to repair the roof, front porch and back porch, all of which are structurally unsound. 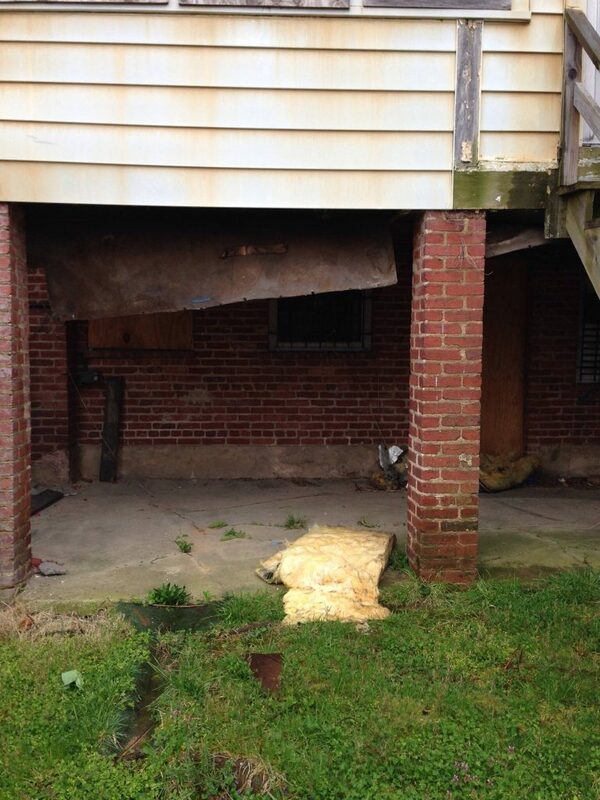 This boarded up, blighted home has been a magnet for rodents, burglaries, drug dealing, public fornication and other crime. 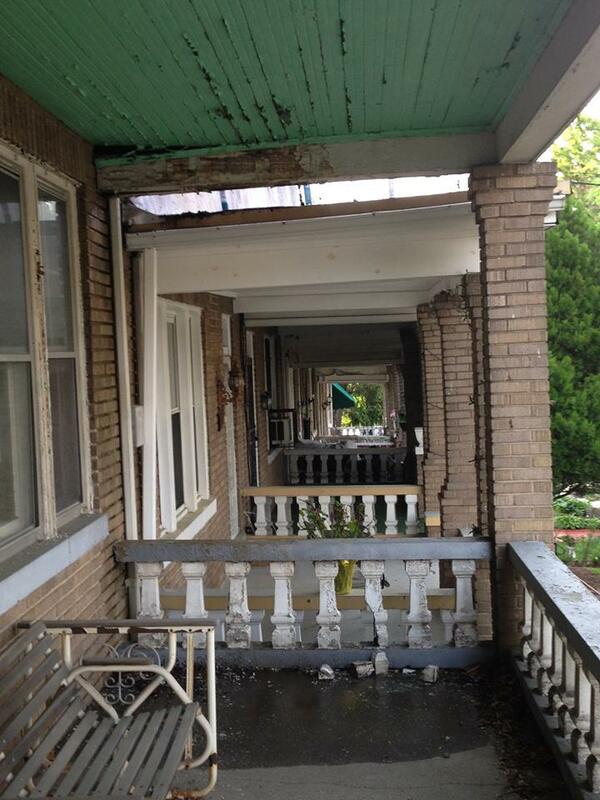 The entire block is sick of it, yet DCRA refuses to enforce building codes to force the owner to repair it. 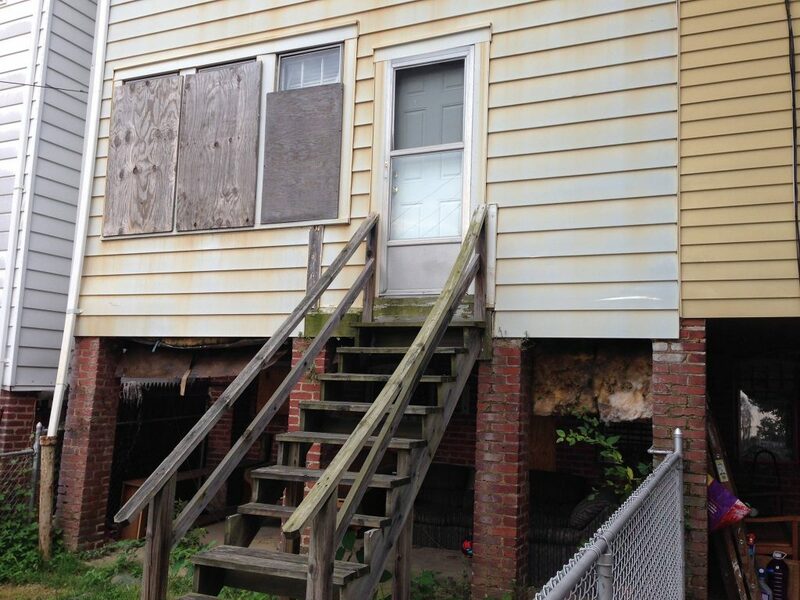 Moreover, the city collects $19k a year in property taxes at the vacant rate, I believe from the bank trying to foreclose, but refuses to reinvest a dime of the extra tax proceeds in making the property safe.